Carrying signs with slogans such as “I want snow for Christmas” and “The climate is changing, why aren’t we?”, the demonstrators gathered in a park near the capital’s main train station before marching through the government district. The crowd applauded wildly and chanted “Greta, Greta” as she wrapped up her short speech and left the stage. Thunberg later met with scientists at the Potsdam Institute for Climate Impact Research, just outside the German capital. Some 26,000 scientists in German-speaking countries have signed a call in support of the protesting students in recent weeks. The Berlin rally was one of more than 20 being held around the country. 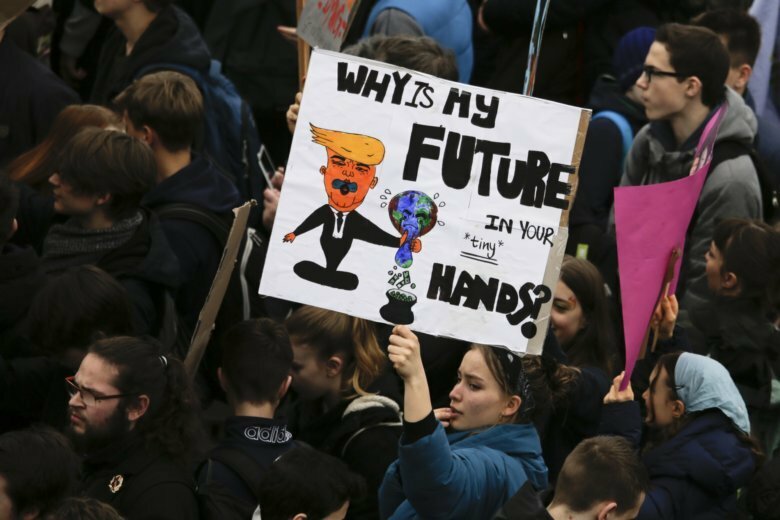 The weekly “Fridays for Future” protests have been largely welcomed by German politicians, although some have criticized students for protesting during school time. While Chancellor Angela Merkel has called the protests “a very good initiative,” many at the rally accused her government of failing to do enough to stop global warming. “Angela Merkel, do you climate homework!” read one sign. Environment Ministry spokesman Stephan Gabriel Haufe denied that Germany is dragging its feet on climate action, saying the government plans to pass a bill this year laying out new targets for each sector of the economy to reduce its emissions by 2030. Thunberg started last year holding solitary demonstrations outside the Swedish parliament to urge quicker, stronger actions to fight climate change. Inspired by her effort, the weekly protests have now snowballed from a handful of cities to hundreds, though many draw smaller crowds than took part Friday in Berlin.